As winter wraps up, we're about to enter that time of the year when games are released so think and so fast that you may wonder what it'd take to live in the same sort of situation that Michael Keaton did when he starred in that movie where there was a lot of him. Yeah, we'd love a clone of two. In the meantime, this week sees a number of good looking games coming. 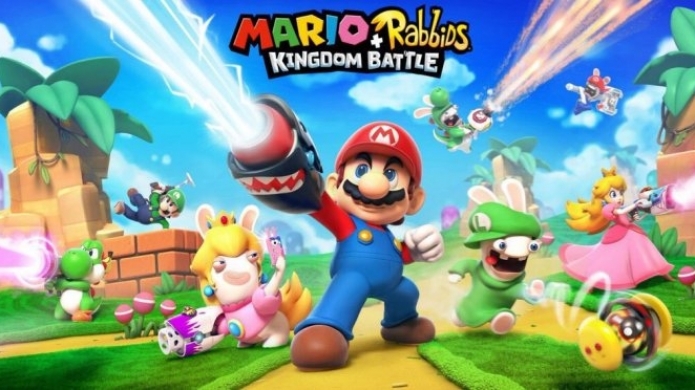 Mario goes XCOM in one of the biggest surprises from E3 this year, and it's out this week too. Experience life as a member of the Yakuza in the mid-'90s. Go to jail for a decade and then get to experience life as a Yakuza in the mid-'00s. Flip phones! Online competitive and co-operative melee combat that looks stylish as hell. Until we get the next Mario Golf, this will do nicely. It'll soon be a Jurassic world for console and PC players alike. Return to Arcadia Bay and prepare for more engrossing teen drama. Seriously. Other titles out this week include Pillars Of Eternity for console and Resident Evil Revelations for PS4 and Xbox One. Plus, zombie shooter Dead Alliance and something called Naruto Shippuden Ultimate Ninja Storm Legacy. Which can't possibly live up to that title.